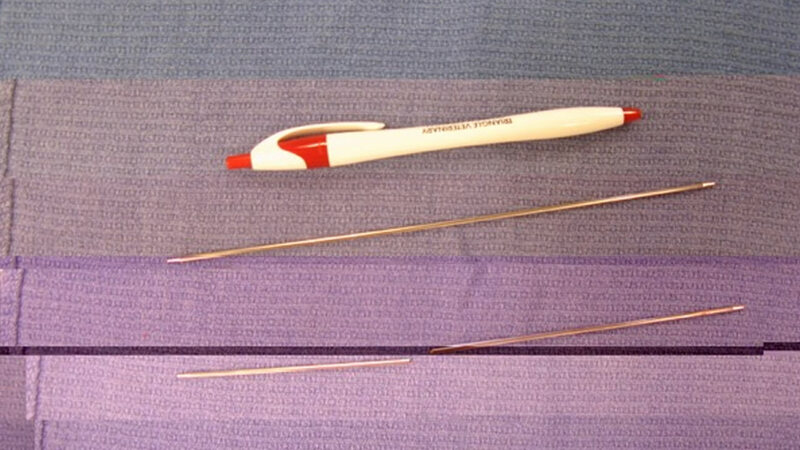 DURHAM, N.C. -- Veterinarians at the Triangle Veterinary Referral Hospital in Durham spent their New Year's Day carefully removing a knitting needle from the heart of a 17-week-old puppy. 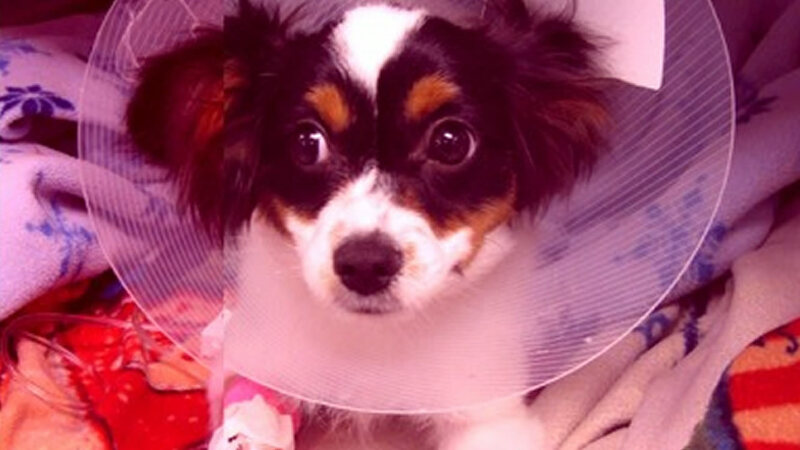 "Tutti" - a papillon - managed to land on the needle at her home, and it speared her chest. 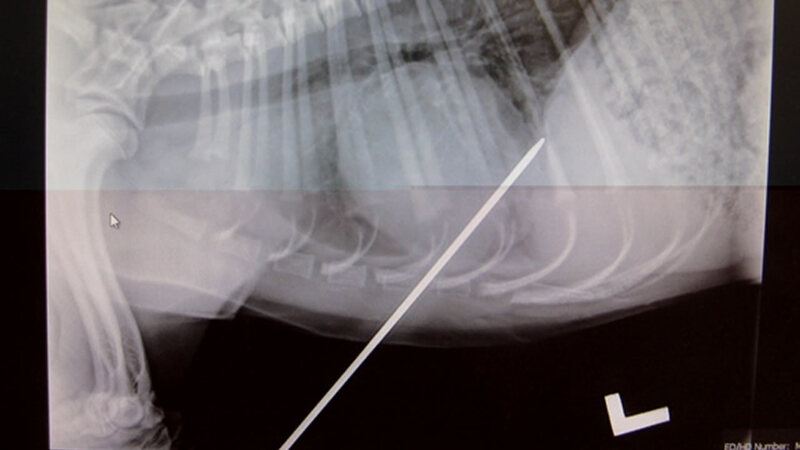 Her owners brought the dog to the hospital where X-rays showed it had gone into her heart. Veterinarians had the choice of surgery to open the dog's chest, or the cheaper option of carefully pulling it out. After consulting with Tutti's owners, they went for the latter. 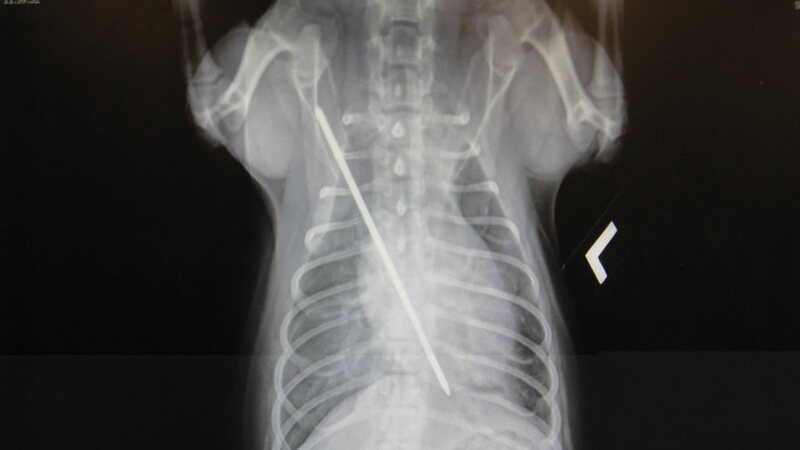 The needle was slowly drawn out of the sedated animal's chest, and it all went well. Tutti was allowed to go home a day later.